Update #2: Dec. 15 For those who read Spanish or who want to run the article through Google translator to get a rough translation, in a piece entitled JAY MILLER RESPONDE A ANTONIO CASADO La verdad es muy otra published on the elmundovino.es website, Jay Miller defends himself pretty well against the contentions made about him in the Antonio Casado article (below) also published on the elmundovino.es website. However, Miller does not answer the allegations that are the basis of the Pancho Campo-Jay Miller-Robert Parker controversy. 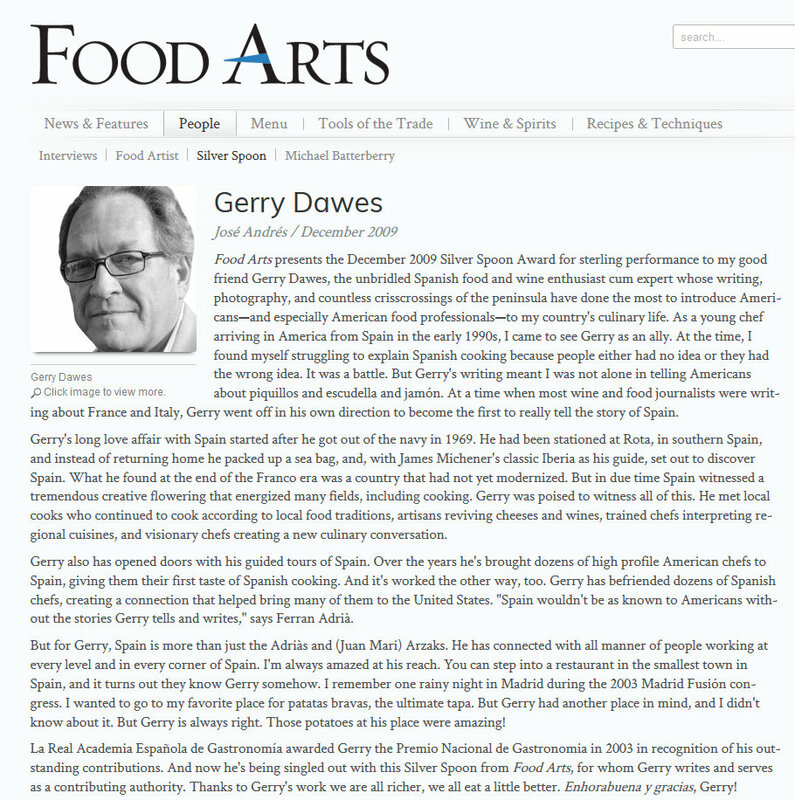 Jay Miller doing "freelance" tasting in Navarra for The Wine Advocate, on a trip for which Pancho Campo and his Wine Academy of Spain is reported to have charged 100,000 Euros, out of which Miller was purportedly paid 10,000 Euros. At least, we presume, there was no "cat piss" in these wines (see article below). For the last couple of weeks, during The Pancho Campo - Jay Miller - Robert M. Parker, Jr. - The Wine Advocate controversy going on in Spain, most of the reporting his been done by foreign journalists and journalist-bloggers such as myself, England's Jim Budd (Jim's Loire), Mike Steinberger (Wine Diarist), Tyler Colman (Dr. Vino), Tom Perry (Inside Rioja), W. Blake Gray (The Gray Report) and Harold Heckle of The Associated Press working on his own and co-signing some research with Jim Budd. As this controversy has grown, speculation grew about why Spanish journalists were keeping quiet, then on Dec. 4 Spain's top wine writer, José Peñin, broke the silence in a post on elmundovino.es, the top wine web site in Spain (see Spain's Top Writer José Peñin on the Pancho Campo-Wine Advocate-Robert M. Parker Jr., Jay Miller "Pay for Play" So-called "Murciagate" Controversy in my English translation on this blog). Cesa Jay Miller, el hombre de Parker (Following the Controversy over the "Murcia-Gate Case; Jay Miller, Parker's Man (in Spain) Resigns), elmundovino.es added their official voice. On Sunday, Dec. 11, the cork popped out of the bottle with a loud report that has reverberated around Spain and soon, no doubt, around the world of wine. In an explosive piece were some startling revelations by a prominent Spanish wine journalist and educator, Antonio Casado, who recounts personal experiences he had over a period of several years with both Pancho Campo and Jay Miller. The piece makes for fascinating reading. by Antonio Casado, a prominent Spanish journalist and wine educator. 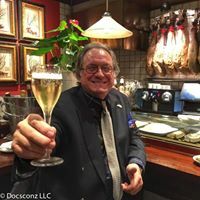 "During the past week the social networks have been filled with photographs of two wine characters, Jay Miller and Pancho Campo MW (Master of Wine), into whose proximity chance led me some years ago. I hope this brief (or not so brief) memory serves to shed some light on the controversy that has recently flooded the web. 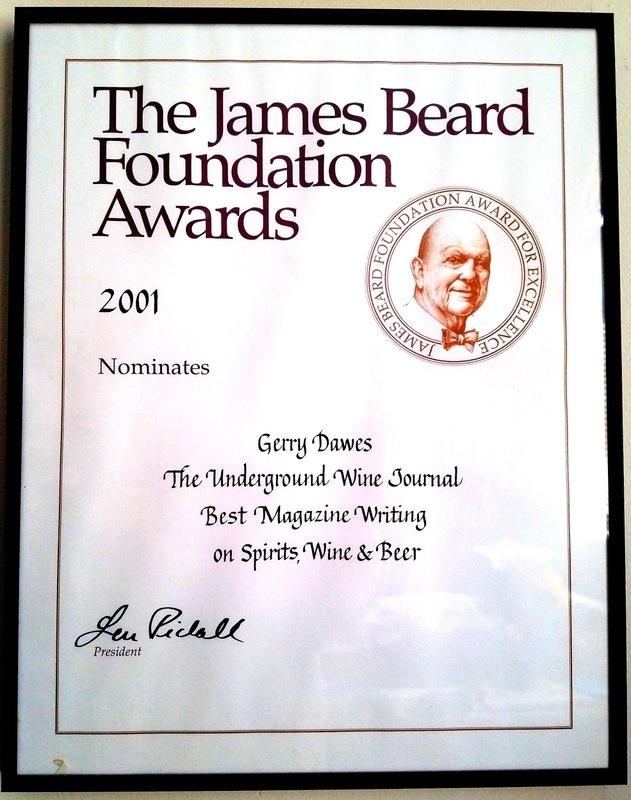 I will begin like this: It was during the first months of 2007 and, I had just started my journey with the people of Vino y Gastronomía as technical director of the La Nariz de Oro (the Golden Nose sommelier competition in Spain) and chief wine editor of that pernicious wine publication, after nearly five years under the infinitely more stimulaing and generous wing of José Peñín, when the news broke: Jay Miller, the taster Robert Parker had appointed a few months back for the tasting and scoring of Spanish wines (among others), had awarded 100 points to five wines from Spain. Without thinking, knowing that he owned a wine shop in Baltimore (or at least was a shareholder in it), I called and asked to speak with him. The girl who answered told me that since joining the team of 'The Wine Advocate', Jay had left the business (I guess that's an issue close to the ever-delicate appearance of a conflict of interest), but nonetheless she ended up offering me Miller's e-mail address and I wrote a very amiable and even amusing interview request, to which Miller agreed in a matter of hours. At first I thought of sending a written set of questions and settle the matter in a practical but impersonal way, but after a little reflection I opted for something better. A week later I flew to Washington, from where I went on a rickety train to Baltimore. Jay, in an extraordinary gesture of humility, came to pick me up at the station. We went to eat at a mediocre French restaurant, drank (plenty of) French wine, we talked for three hours about anything and everything, but mostly (and without a recorder in between us) we discussed how to practice criticism. I could see, in general terms, that our character was a good guy, friendly and pleasant enough, a big eater and drinker and just a mediocre taster. The most revealing of his "confessible admissions" was, in addition to confirming that he had never set foot in Spain, getting to know how a doctor (hence the "Dr." which he used at the time in front of his name) in child psychology had risen to a position as a critic with such a big responsibility: He and Robert Parker himself had belonged for several decades to a local wine tasting club (called something like "Oenarchs" or "Monarchs of Wine"), and Parker's loss of confidence in his former tasting team (also with them I remember there was controversy) led him to prefer someone close and highly reliable to someone with a better wine-related résumé. After lunch, he suggested – I guess because he had good feelings towards me and /or my professional profile – doing the "official" interview in his own home. So he drove me in his car to an old farmhouse about 30 or 40 miles from the city, a dark wooden one-story building just fifteen minutes from where (Robert M.) Parker lived. From the time we crossed the threshold of his house, all the luminosity and nimbleness in his conversation seemed to turn to shadows, darkness and a high degree of melancholy whose origin was revealed to me in the next few minutes when, before sitting for the interview, he showed a more then interesting cellar, full of fine wines but also lots of photos of him and Parker, mostly in France, and accompanied by Jay's wife, who had died just three years earlier. It was remarkable how the critic seemed to have vanished and the role of relatively recent widower had monopolized his immense self. Back upstairs he showed me his work space, a large room with many windows in the center of which was a large, solid wooden table surrounded by a sea of bottles, mostly Chilean wines whose tasting he told me he would begin the next day. There were several things that struck me at once: the number of bottles and random arrangement on the ground meant that the question of "optimal tasting temperature" was not among Jay's priorities. Neither were the product and its nature being respected exactly, since white, red and rosé rubbed shoulders, and (evidence) of the many cats that lived with Jay (I guess as a logical formula to try to alleviate his loneliness) was rampant among labels of the sauvignon blancs whose fidelity to the traditional tasting note of "cat piss" I fancied was going to be singularly (spot on) accurate. 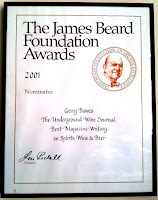 Fourth, I found that the only object on the table was the English edition of the 2007 Wine Guide of my mentor, José Peñín, of which I had been coordinator and head taster (for almost 5,000 of the 7,500 samples tasted), which represented my last work for the publishing house in Madrid's Arga street, only a few months before. 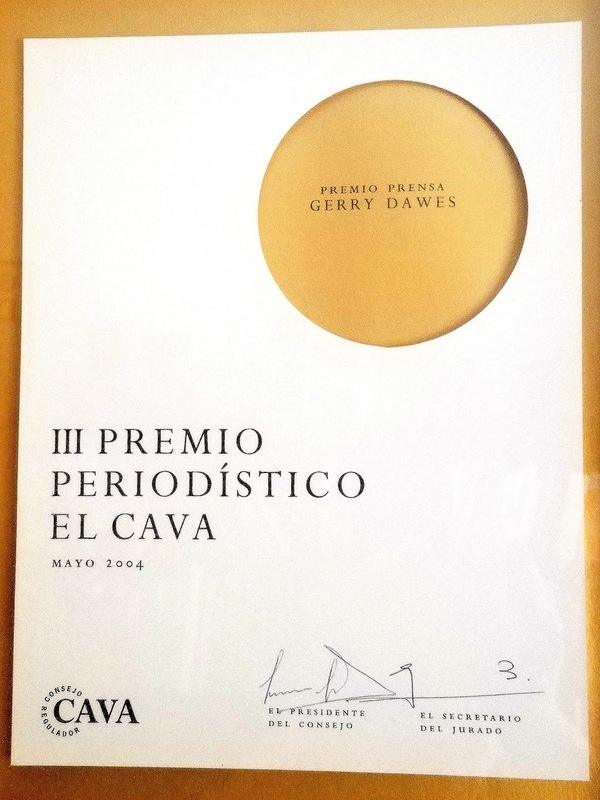 Jay's surprise at seeing my picture on the overleaf was as big as my later observation (back in Spain) that most of the scores of 'The Wine Advocate' for Spanish wines that year were suspiciously close to those contained in the Peñín edition. We finally sat down for an interview that was less appealing than anticipated because, as I said, Miller's mood at home was tinged with melancholy, and in the interview the most notable revelation was that his "hundred points" to each of five Spanish wines were those of a man who found himself between "a rock and a hard place." His boss, Robert Parker, had given 99 points in the previous vintage, 2003, to the same five wines, and given the evidence that the subsequent 2004 vintage was noticeably better, Miller had no choice but to push (the same wines' scores) to the highest level, forcing him to bid higher and add, exactly and compulsorily, one point to each. Since the day had lasted longer than expected, what with the long lunch and the automobile trip to his home, the rush to return to Baltimore made me forget my overcoat on the rack at the entrance (to Miller's home). Later, I asked him about it, but he said that he had not found it in his house. I suspect that cats had turned the coat into an exact replica of Buffalo Bill's fringe-lined coat. Two years later, in spring 2009, as I was about to return from Ciudad Real on the shuttle train after the last day of Fenavin (the La Mancha wine fair), a few minutes before leaving, in the station bar, I ran into the newly proclaimed Master of Wine (MW), Pancho Campo, and his large entourage. 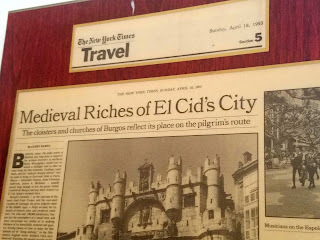 Among his most fervent apostles was Esteban Cabezas, at the time the manager of Campo's equally new Wine Academy of Spain, with whom I sat during the entire return trip (to Madrid). Esteban, with a mix of excitement and speed (of both the train and his speech), told me that they were looking for a taster with a profile very similar to mine, with extensive knowledge of Spanish wine, but with ability to communicate in English, to replace Pancho in several courses in the U.S. to which he was committed, and that for, officially, health reasons he would not be able to carry out. In late June and with only two days notice, I was called and told that the "casting" would take place the following weekend. The first day consisted of a touchdown with Pancho and his method of tasting, no different (perhaps only simplified) from that used by the Masters of Wine and WSET, the institute whose courses of study necessarily precede the conclusion of the title. Of that day I remember both the mastery Campo had of the tempo in his speech and the more than evident mediocrity of his deductive method in blind tasting, which for the WSET is a vital aspect in its training of tasters. At the end of the day the participants were ordered to prepare for the next morning a half-hour presentation on a given region, in my case the Rias Baixas. In the morning, the tasters marched one after another, each with his presentation, always with more shadows than lights and without ever exacting the slightest emotion fron Pancho. After mine, however, I received spontaneous and literally public applause from him. Obviously I don't have and I don't think I ever will have Campo's stage presence, his absolute and stunning ease on it, but I think I defended with sufficient solvency, knowledge of the region and fluency in English my assigned half an hour. The course designed by Pancho Campo and promoted as a kind of master's degree in Spanish wine consisted of two days during which a more or less superficial approach to the different wine regions was offered, with tastings of wines from these regions, and a third day with two exams for students: a very simple, test-type exam on any one of the issues raised during the first two days, and a blind tasting in which they had to identify eight wines from among those tasted during the preceding days. However, they were offered a list of the wines, which made it easy to solve any doubt (for example, with the fortified wines, which are already sufficiently detected through their color and their nature). From the very beginning the students present showed a high level of knowledge about tasting and a low level of adjustment both to the banality of the syllabus (the chapters devoted to promoting Andalucía with 'rebujito' (fino sherry with 7-Up) and the Seville Feria were embarrassing examples), so in spite of my efforts and those of Esteban Cabezas (to tell the truth more interested in rigorously following Pancho's syllabus than in trying to mitigate the students' growing indignation), after the lunch break a small group, speaking in name of the entire class, approached me to explain that either we changed the format and contents (in other words the whole seminar!) or they were all going to drop out and demand that they get their money back (I believe around $US 500). Of course this unexpected little meeting really got under Cabezas' skin, saying that it was "attempted mutiny" in addition to refusing to change a single comma of the syllabus. With this act and almost unintentionally, Esteban revealed what was going on: the wineries not only were paying a high price for their wines to be tasted, but several regional governments, regulatory councils and other organizations in the wine trade had been conveniently shaken down so that they would be talked about in the USA, and that this "financial" protocol was the only one acceptable for the entire course. 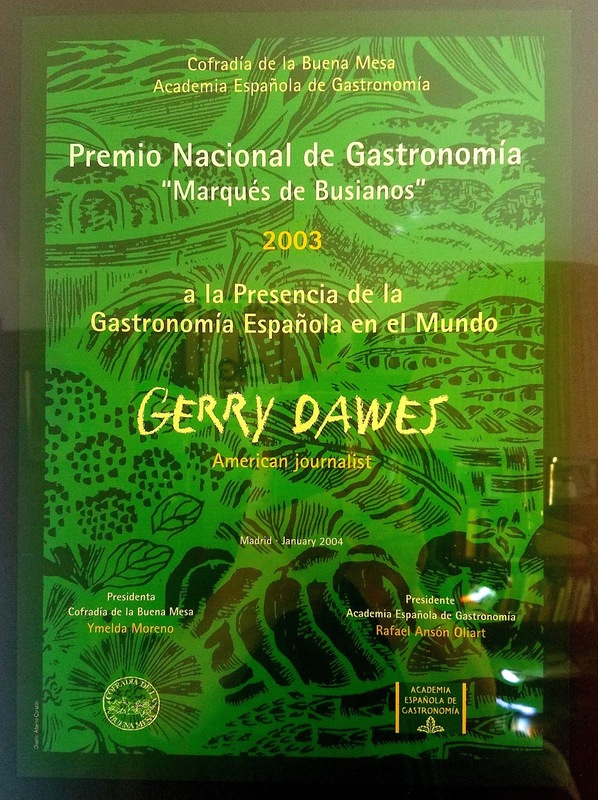 They (presumably The Wine Academy of Spain and those entities) didn't care at all about anything else. The climax of this whole ugly mess was in the presentation of wines from Murcia: because the Murcia Region (NT: the regional government) and the DO Jumilla had paid, they were talked about, but Bullas and Yecla were studiously ignored, something that honestly I find difficult to explain in words because the Region (NT: that was paying) includes them, but didn't include them (in this seminar). I don't know if I make myself clear. Esteban Cabezas, whose zeal was repaid by Pancho still owing him more than 30.000 euros, recently spoke about his wish to put "at least 10,000 kilometers" between him and Pancho. With a dose of humor and friendly words the flood waters receded the last two days of the seminar, although I couldn't avoid feeling embarrassed for having been seen in the eyes of the students as the incarnation (or at least a willing participant) in a scam. Judging from their comments, some of my former students in that course and the following ones – I refused to continue but others took my place – have expressed that feeling in various forums, including Jim Budd's, while the real perpetrator of the scam hid in his mansion in Marbella, probably already preparing one of the following chapters in that unique, 'altruistic' crusade of his in the good name of Spanish wine internationally. In this new episode, Pancho Campo gives the leading role to the character at the top of this story, our melancholy and well-meaning widower Dr. Jay Miller. 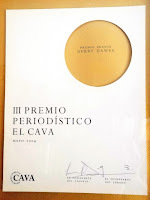 Back to Fenavin, this time the edition following the one which enabled me to meet Pancho Campo, i.e. the latest one, 2011. I was tasting with the people at the stand of the Ercavio with that fabulous and most entertaining winemaker, Gonzalo Rodríguez, when down the passageway our distinguished MW appeared, followed, a few steps behind, by the formidable countenance of Jay Miller. Pancho greeted me and talked to me about his forum project in Singapore and turned slightly to introduce me to an unsteady Jay, who recognized me and, opening his mouth, deeply blackened from tasting, jokingly swore and re-swore that he had never tried on my coat that I had left at his home (in Maryland). (Miller's volume is three times mine, I would like to see him try to put it on!). For others, among whom I count myself, there is a stench around this whole thing. I know that in his latest visits to wineries Jay Miller has made the wineries sign a document to attest that he had not received any money from them, a belated attempt to try to cure the illness. What is certain is that these economic demands did take place and were sent and signed by Pancho or one of his employees. But perhaps what grates the most is the way Pancho has tried in many of these documents (published recently on Jim Budd's blog) to make excuses for the high price being charged...by using Miller as his human shield! I.e., by shouting to the four winds that the honorariums required by Jay were such and such (around € 20,000 per day), but apparently the good man would be willing to accept a somewhat lower rate. In fact, in an e-mail sent from Italy by Campo to his commercial director and bounced in to the DO Vinos de Madrid, he said: "Private visits off the set agenda, as this would be, rarely take place, and not for a price below 40,000 euros. The fact that Jay has agreed to stay 2 days more, and for half the usual price, is a miracle and an opportunity that Madrid will find it difficult to have again." I do not know to what degree Jay Miller's involvement is in Pancho Campo's scheme. But in my opinion the most plausible hypothesis taken from the point of view of the nature of the characters involved (I tried to paint a picture of the personalities of both in my text) is that one, the cunning one, has led the other, the meek one, along these roads and in the way that the former so desired. I also think that all this reaffirms that Pancho Campo, regardless of the MW ribbons bestowed upon him, that now come after his name like an imprint or a second family name, knows that as a taster he will never attain the status of what (in a beautiful but not yet entirely Spanish word) we call a "prescriptor" or leading expert, like Peñín or Miller, and that his only road to fame depends on other more mundane skills, including those for which he has become famous lately, those that have just dumped so much suspicion on an industry which needs anything but that. I wish someone would explain to Miller just what position Pancho has put him in (that of a consultant demanding 20,000 € per day), in documents written in Spanish. I'm sure that when Jay finds out, on the unemployment line, it will not to make him at all happy. And perhaps our portly American taster even has friends at Interpol."